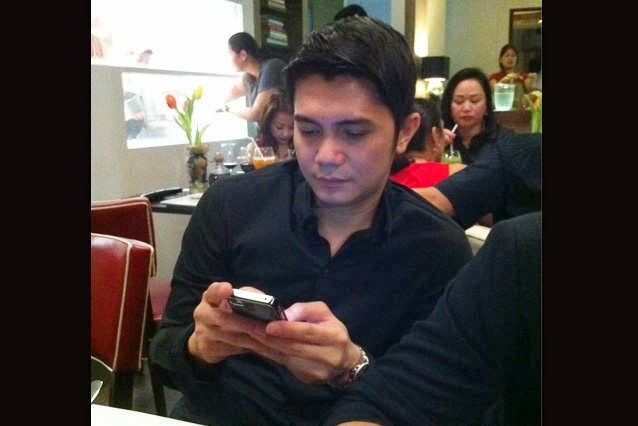 Manila, Philippines - The National Bureau of Investigation (NBI) revealed on Wednesday the batch of text messages from businessman Cedric Lee to It's Showtime host Vhong Navarro after the mauling incident last January 22 at Forbeswood Heights condominium in Taguig City. Navarro has surrendered his cellphone unit to NBI on Tuesday. NBI said that according to the text messages, Lee allegedly demanded Navarro to deposit money to a bank and if not, charges will be filed against him by model Deniece Cornejo. In the alleged text message from Lee, it says: "Ok. good. lalake kaming kausap. magpakalalake ka din. alam mo na yun iba mo pang dapat gawin ha. will verify." Two days afte the incident, Lee also sent message to Vhong saying: "T***ina mo! Di ka lalakeng kausap. kakasuhan ka nalang ni deniece. p***** ina mo!" Another text message of Lee to Vhong said: "Bayaran mo si deniece nung damages sa kanya and mga nawasak na furniture dun. basag yun TV, etc. text ko sayo account nya, kawawa yun tao. pati mga sofa nya puro dugo. kailangang palitan na nya". However, the NBI confirmed on Tuesday that none of the furnitures inside Deniece Cornejo's condo unit was damaged. One thing that caught the attention of NBI was the blood stain on sofa. Aside from the exchange of text messages between Navarro and Lee, the NBI also attempted to get records of Cornejo's conversation with the host-comedian. Navarro in his affidavit submitted to the NBI said that the group of businessman Cedric Lee erased the text messages from his cellphone to conceal his exchange with Cornejo. Meanwhile, Globe Telecom announced that it cannot retrieve the allegedly erased text messages of Navarro. On Thursday, Navarro submitted to the DOJ two supplemental affidavits in relation to the mauling incident. This includes alleged text messages sent by Lee to the actor on January 23 and 24. On the latest update, the first preliminary investigation on the charges filed by both parties has been set on Valentines Day. The next hearing is scheduled on February 21. Navarro was also released from the hospital on Thursday after almost two weeks at St. Luke's Medical Center.